It’s the remix to Ignition, hot and fresh out the kitchen. 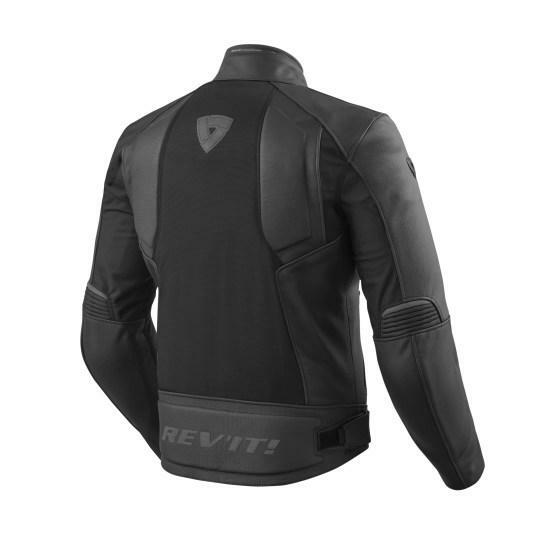 It’s technically the 3rd remix of the Ignition jacket and updates include a new look with Seeflex CE level 2 armor stitched to the outer shell of the jacket instead of in the mesh liner of the jacket. The same Dynax mesh and Monaco Performance cowhide still make up the shell of the jacket, providing both air flow and protection. The Rev’it! Ignition 3 Jacket comes with a removable thermal liner and removable waterproof liner so you can set up the jacket to take on the weatherman’s predictions. It’s the freakin’ weekend, baby, I’m about to have me some fun. Previous articleDoes The End Of The Hayabusa Mean The Birth Of A New One?